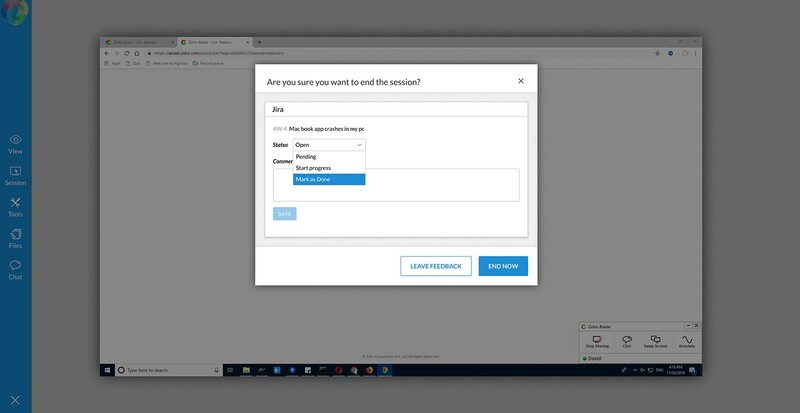 Make use of Zoho Assist integration with Jira and go that extra mile as an IT support technician by initiating remote support sessions right from your service requests. You can schedule sessions, and update the service request status at the completion of each session. 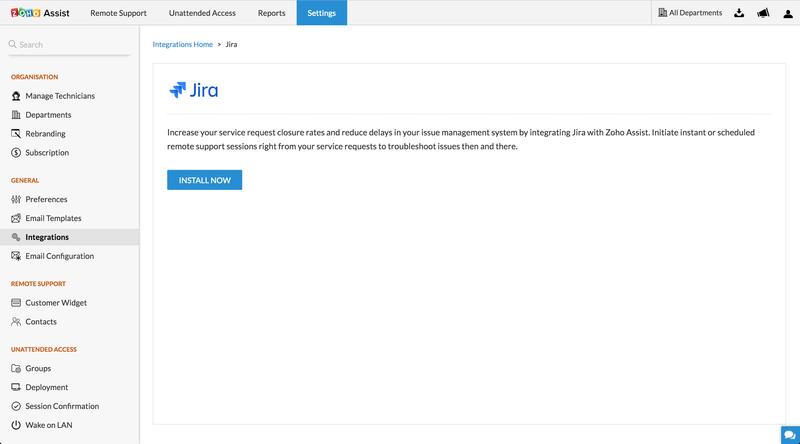 Click Install to install Jira in Zoho Assist. Click Accept to allow Zoho Assist to access your Atlaissian account. Login to your Jira account. 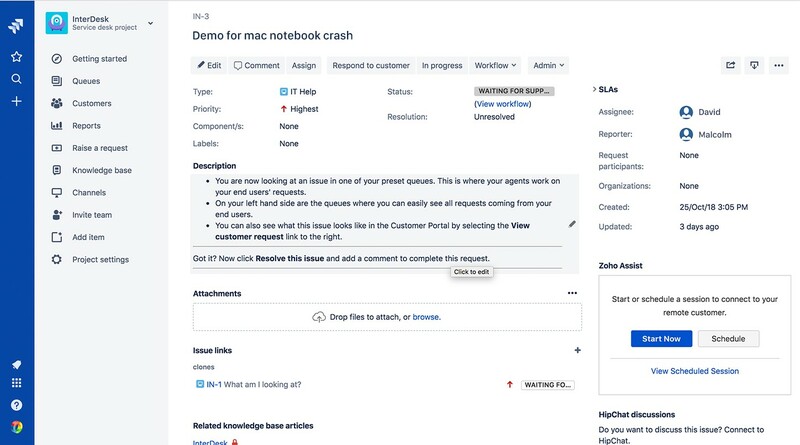 Go to Jira Setting > Apps > Find new app. Open the service request to be resolved. The details of the scheduled session will be added as a comment below the particular service request. You can click on the comment to start the scheduled session anytime. To reschedule a session click View Scheduled Session, now click EDIT below the session that is to be rescheduled.